Yogendra Pratap is the Editor of Auto Today India and is one of the most revered and respected automotive journalists in the country. Yogendra is also on the jury for the World Car of the Year and the World Engine of the Year awards. He is completely a car man and can dissect any car in his mind. He also possesses vast knowledge on everything automotive, be it new technology or an old engine, he can give you intricate details of both with ease. He loves being on the road and hates taking breaks while crisscrossing the country at a moment's notice. Rahul is one of the most experienced automotive journalists in the Auto Today India team with ten years of experience in the industry. He is on the jury for the Indian Car of the Year and the Indian Motorcycle of the Year awards. Despite him being primarily a motorcycling enthusiast, Rahul tests cars and is in charge of all road tests in the magazine. Designated Associate Editor, Rahul is constantly hounded for information on cars and on most days, is on the verge of pulling his hair out. Dhruv founded autoX in 2006 with little clue of what lay ahead. Driven by a passion for anything on four wheels and a stubborn will to succeed, he moulded a team as pig-headed as him to create a medium that could adequately communicate the magnificence of the automobile to an unsuspecting audience. Today, AutoX stands for independence, candidness, and objectivity – but, most of all, for heart & soul. An assistant editor with autoX, Ishan has great technical and practical knowledge, and his life-long love for cars has seen him devote some of the best years of his youth to perhaps wasteful, yet satisfying, pursuit of his obsession with automobiles. He has worked with lifestyle publishing brands as a freelance / consultant for over 5 years and as a part of the autoX team for 3 years. 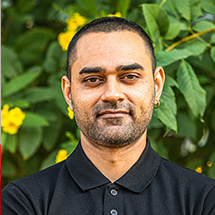 Girish joined the Indian edition of BBC TopGear in 2006 as an Assistant Editor. 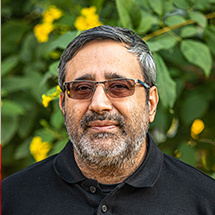 Born and brought up in Mumbai, he started his journalism career as a sports correspondent, in The Indian Express, but soon moved to automotive journalism and was part of the editorial team that started Autocar India. After a six-year stint there, he moved to BBC TopGear where he went on to become Editor in December 2009. He has been part of the ICOTY and IMOTY jury since then. Agasti Kaulgi started as an intern at BBC TopGear Magazine after completing his post-graduation in journalism from Mumbai, and worked his way up to be the Features Editor over the years. Agasti has gained plenty of experience in testing cars and currently is in-charge of road testing for the magazine. He’s also extremely passionate about off-roading and has many trophies to his name. Agasti is an integral part of TopGear’s editorial team and has a flair for creating innovative content for the magazine and the website, and has been a indispensible asset of the team responsible for boosting the brand’s presence on digital platforms. Apart from road testing, he has many endurance runs panning the country’s length and breath under his belt and has got him in the record books. As the editor, Aspi has been ably leading the editorial teams of both BIKE India as well as CAR India since 2007. Under his leadership the magazines have gone from strength to strength serving the two magazines’ readers with outstanding value through innovative content. Prior to assuming his current leadership role, Aspi had been the backbone of both the magazines as their Road Test Editor, in charge of conducting all vehicle tests that empowered readers with detailed and credible data that they could rely on. Aspi’s career in journalism began with Overdrive magazine as Road Test Editor where he established the basic tenets of vehicle testing – both for two as well as four wheelers. Before becoming a journalist, his career as a motorcycle racer had been both long and rewarding. Between 1977 and 2004, when he finally hung up his racing boots and leathers, Aspi tasted victory several times both in India and abroad. He is also the only Indian to have ever won a Bronze replica medal at the legendary Isle of Man TT, which he won in 1987. With his immense technical knowledge gleaned from a long racing career during which he built the motorcycles he raced on followed by his role as first Road Test Editor and then Editor, Aspi plays an invaluable role as a jury member of the prestigious World Engine of the Year, Indian Motorcycle of the Year (IMOTY) and Indian Car of the Year (ICOTY) panel. A keen observer of the auto industry, Sarmad has been reviewing cars for a decade now. With an overall work experience of over 15 years, he has worked with esteemed organisations like Car India, Times Internet and CarDekho. Sarmad is an expert in the digital space and keeps a tab on the current social media trends and news in the automobile space. He is responsible for the digital news and trends in the online space at Next Gen Publishing Ltd.
Sirish started writing on cars, bikes and motorsport at Overdrive magazine straight out of engineering college in 2000. He took over as editor seven years later, the youngest automotive publication editor in India, and was responsible for the growth of the brand, most notably by conceptualizing and hosting the award winning Overdrive show on CNBC-TV18. After 12 years he made a brief detour into the corporate world as head of press at Porsche India, but quickly returned to his calling, founding evo India magazine and ThrillOfDriving.com in 2013. Aninda cut his teeth in the automotive journalism industry as an intern at Overdrive in late 2003. 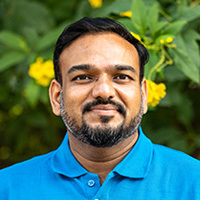 Since those early days he has been continuously travelling on the learning curve, evolving from being responsible for generating credible and innovative automotive content in his role as senior reporter at Apex Press and Publishing in Muscat (Oman) before moving to Auto Bild India as Chief Sub Editor. After nine years he did a brief stint in the world of communications consultancy before returning to his first love of automotive journalism, as assistant editor of Bike India and Car India. He has been with evo India since Oct 2016. Pablo Chaterji is Managing Editor at MW, India's best men's lifestye magazine. He oversees the automotive section at MW, apart from writing on a variety of other subjects. Previous to this, he was Managing Editor at Motoring World magazine, and in total he has 15 years of experience in automotive journalism. There is nothing Kartik likes more than telling stories. And there are few stories better than that of the automobile. That is what this particular member of ICOTY lives by. Or at least tries to. Kartik has been trying to capture the world as seen from behind the wheel for the better part of a decade now, and continues to be amazed at the stories that come as standard equipment with all cars, old and new. He also likes examining the relationships between men (women, too) and machines, a bond that seems destined to be an immortal one. But mostly, he likes to keep it simple by keeping his mouth shut and listening to motors sing their stories. At their redlines, of course. Raunak has been an automobile writer since June, 2012, shortly after graduating from Pune. His first stint was with Autocar India magazine, where he worked for a year and eight months as a Correspondent. Near the end of 2013, though, he felt it was time for a change and shifted to Motoring World magazine, which is honestly, in his opinion at least, one of the finest places one can express themselves creatively about the machines that we’re privileged to drive and ride on a regular basis. It’s now been slightly over three years that he’s been employed by Motoring World, and there’s no place he’d rather be, honestly. Fortune and a little bit of luck has seen him get behind the wheel of machines he never thought he’d have access to, and with the way India’s growing, he can only envisage more good times ahead. In his eyes, the written word holds tremendous importance to the audience we cater to, and it’s something that he hopes to be doing for a while to come. 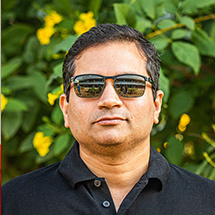 With 11 years of experience as an automotive journalist, Abhay is rightfully designated as the Road Test Editor at OVERDRIVE where he oversees all two- and four-wheeler testing. He kick started his career at OVERDRIVE as a two-wheeler journalist in 2007 being a biker at heart and has been on the IMOTY jury for a few years, but has graduated to testing and evaluating cars over the years and makes his debut as an ICOTY juror this year. He spends most of his time behind the wheel of late, evaluating cars and testing them to the hilt, from micro hatchbacks to track bred sportscars and everything in between as well. Rohit started his career as a motoring journalist in 2008 with Car India & Bike India. Soon after he co-founded Motoroids. In 2011, hemoved on to take up a more challenging and exciting role of being a TV presenter and content head for the Essel Group's motoring show and automotive vertical respectively. Now he is Assistant Editor, Overdrive Digital, and a reviewer and a presenter for Overdrive's print and TV/ Video operations. Murali is passionate about driving, cars and road safety. He’s been writing about the auto industry for the past 19 years, during which time he’s analysed the financial and product health of many automotive and auto component companies. For the past ten years, Murali has had a road test column in the Hindu Business Line. Currently, he anchors the special pages on tech and auto for the newspaper. Murali is proud to be part of the iCOTY jury – the most independent annual award in the country. Vikrant has been a motoring journalist for a decade and a half. And in that time he has worked with some of India's top automobile magazines reviewing almost every new car and bike that has been introduced in the Indian market. Currently, he is the Editor of CarWale, BikeWale and CarTrade. 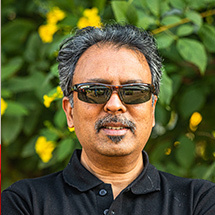 A prominent automotive journalist in the country, Hani heads Flywheel - a leading automobile media house in South India. Since 2002, he has been contributing in multiple mediums such as Print, TV & Online portals. 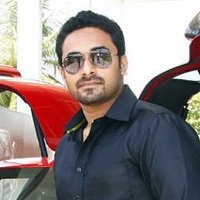 He also hosts south India's most popular auto show - Flywheel. He is passionate about modern, classic and vintage cars, high-end bikes and commercial vehicles. Hani has also undergone various professional driver training programs and has clocked around 500,000 kilometres of driving in his career, including testing at various test tracks around the world.